You must develop Nigeria marketing strategies for your business to stay relevant in the market place. According to P.T. Barnum, "Without promotion, something terrible happens – Nothing!" As they say promotion is the lifeblood of any business, without it no business will survive. Now that you know, how do you go about it? 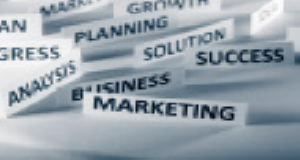 There are several marketing strategies to promote your business. But with this article, I will discuss few of them. Decide your target market audience: The first step to start your Nigeria marketing promotion is to decide the target audience that is likely to buy your product and service. In order to save cost and to achieve maximum result from your promotion, you must focus on a specific group of people in your industry. Take note a strategy that is targeting everybody will achieve little or no result. Develop a unique selling proposition: The next step is to develop a culture for your business that will differentiate you from your competitors. It's an effective Nigeria marketing strategy to position yourself as the best choice in your industry. It's commonly known as Unique Selling Proposition (USP) or Essential Selling Advantage (ESA). It gives you control over a specific niche in the industry and tells potential clients why they must patronize you and not others. Your unique selling proposition can be developed for outstanding quality product. Create database for your clients and potential customers: Creating a database will give your business competitive edge in the Nigeria marketing place. The database includes the names, addresses and phone numbers of clients and potential customers. With your database, you can keep in touch with them and build a lasting relationship with them. When used properly, it will be the most valuable asset to your business. It's a powerful tool to increase sales and build referrals for your business. Provide quality product and service: For you to sustain and increase your present profit, your product and service must meet the expectation of customers. Once they are convinced that you offer quality product and service they will keep coming back. And with the word of mouth, many of them will recommend you to their friends and family. Study your competitors: Another Nigeria marketing strategy to improve sales is to constantly study the activities of your competitors. With that information, your business will gain a solid status in the mind of customers. For example, you must take note and learn from what they are doing right. When you know what they are doing wrong, you can strive to do it better. Packaging: Finally, if you are selling tangible product, the packaging of your product must be attractive. Otherwise it will lose out in the marketplace. Offline marketing strategy is one proven way you can promote your website if you lack internet marketing skill and have little budget for paid adverts. Implementing offline and online marketing strategies is one of the challenges many small business owners are facing today. That is, how to utilize both tactics in their overall sales strategy, in order to increase sales and profits. Marketing Nigeria business among your friends and extended family will attract quality clients. Consider that people like to do business with people they know and like, so inform your circle of friends. Business Card Nigeria is one form of advert affordable to all small business entrepreneurs. If you are not using it in your business, you are leaving lots of money on the table.